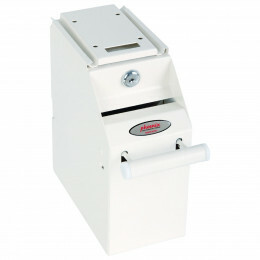 Under Counter Note Safes are the simplest way to protect your Cash Tills from suffering till snatches. Simply install the Counter Safe under your cash till safe and deposit notes directly into the deposit slot to ensure that very few notes are left exposed in the cash till drawer. The Note Deposit box can be simply unlocked by a keyholder and removed safely to the back office for processing. Choose from Under Counter Safes manufacturd by Chubbsafes, Phoenix Safe, Burton Safes and De Raat, which we can normally deliver on the next working day. In retail shops, if there is a danger of cash being snatched from your till points, then the safe and secure solution is to install an Under Counter Note Safe below the cash register. All currency notes - polymer or paper can then be removed from the cash till drawer throughout the day and concealed and secured within the safe. At any point the separate deposit box can be unlocked from the till point and transported to the back office to be secured or banked. 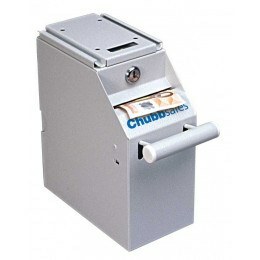 Choose from our range of Under Counter Overflow Under Counter Note Safes by Chubbsafes, De Raat and Phoenix. A low price for such great security benefits.